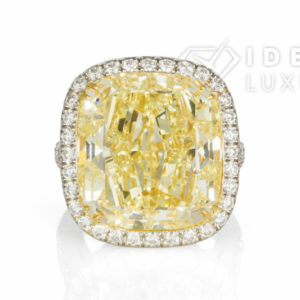 Ideal Luxury is very pleased to present this stunning large GIA Certified Natural Fancy Intense Yellow 4.21ct VS2 Cushion Cut Diamond. 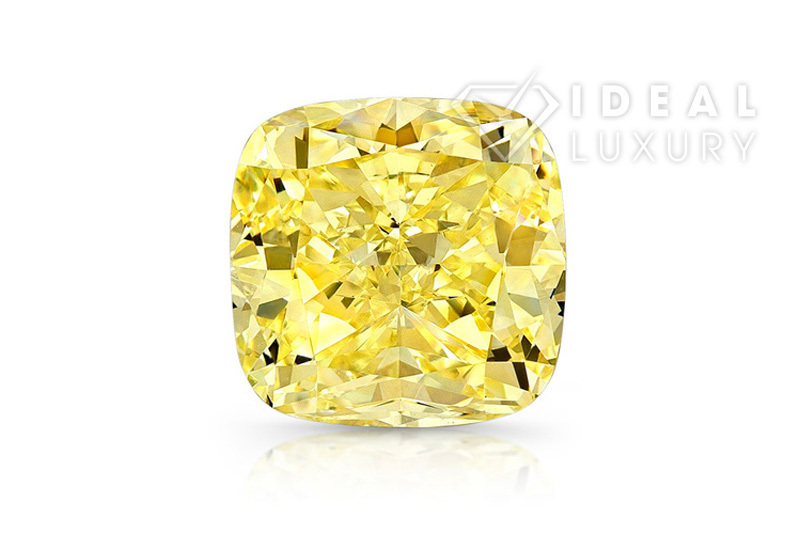 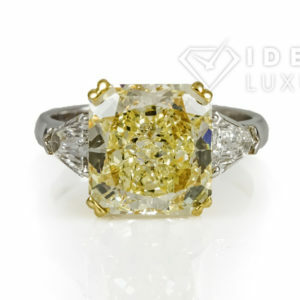 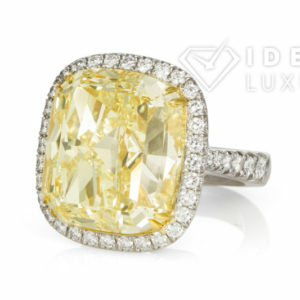 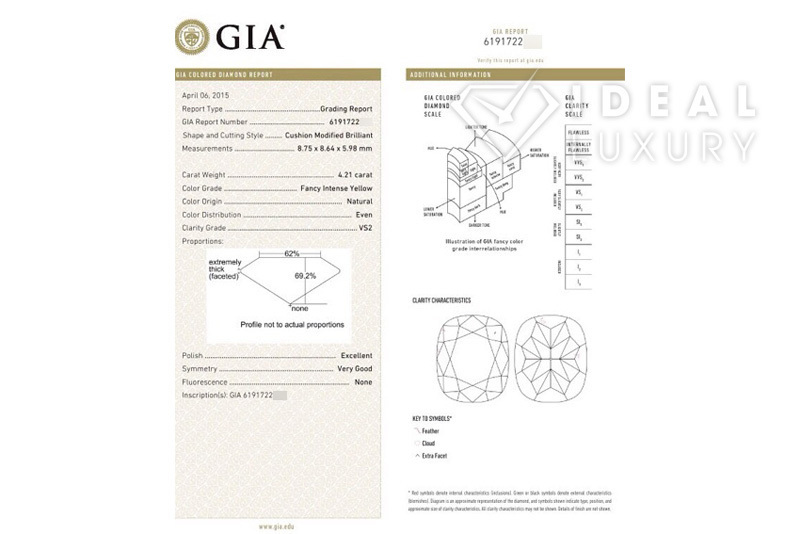 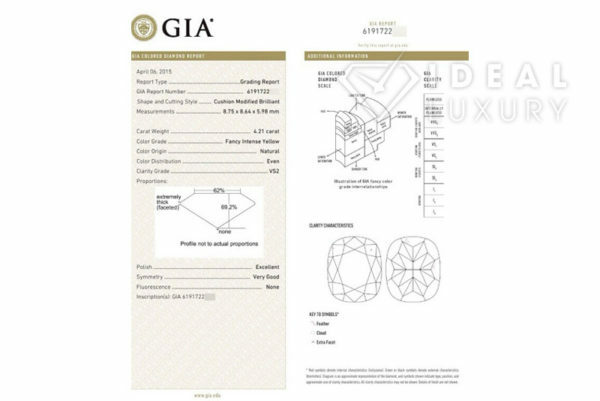 This beautiful diamond measures in at 4.21ct and has been certified by GIA as VS2 natural fancy intense yellow. 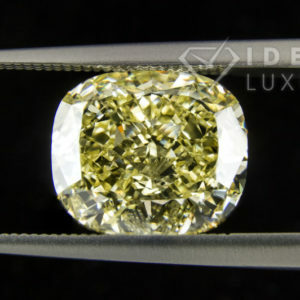 The Diamond is in excellent condition with no chips or knicks. 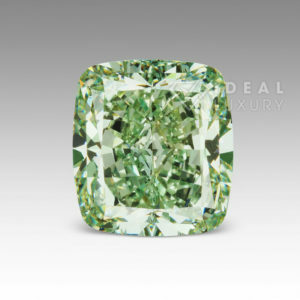 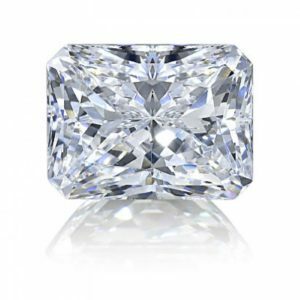 It is truly a stunning diamond ready to be set in the ring of your choosing. 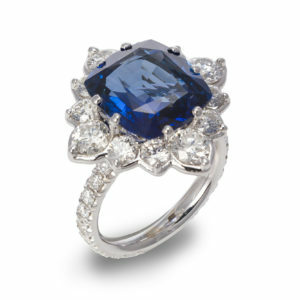 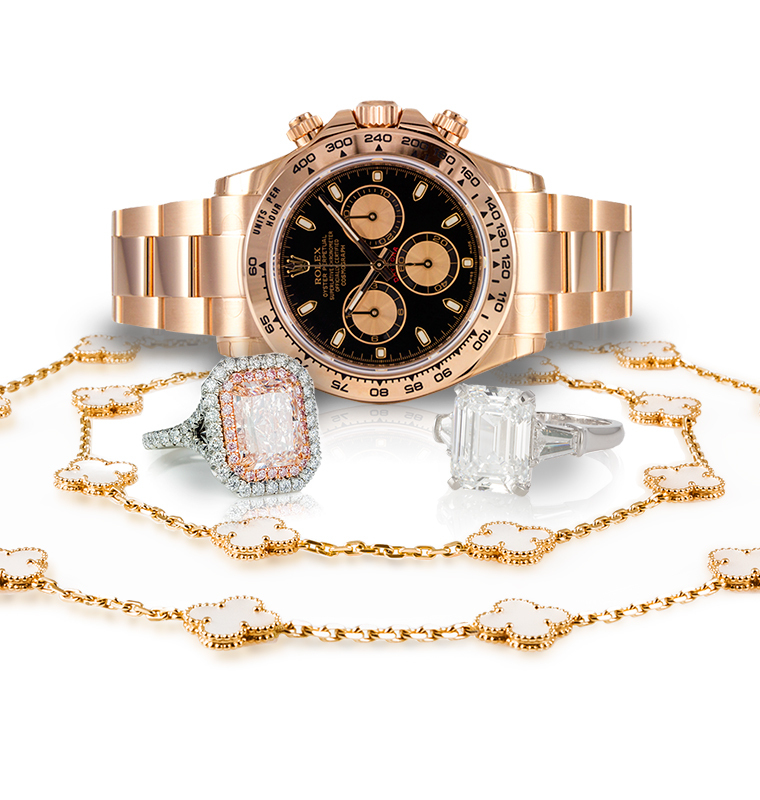 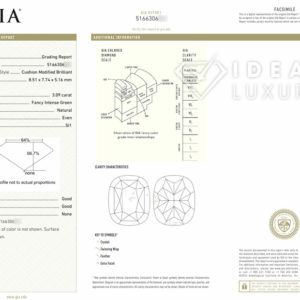 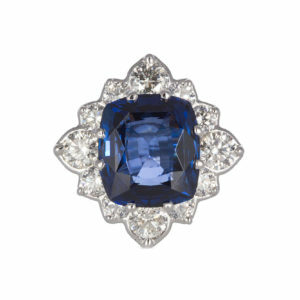 Ideal Luxury specializes in custom designed jewelry made from the finest materials to your exact specifications. 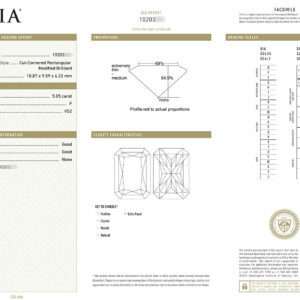 Please feel free to contact us for pricing or with any questions you may have regarding this item.